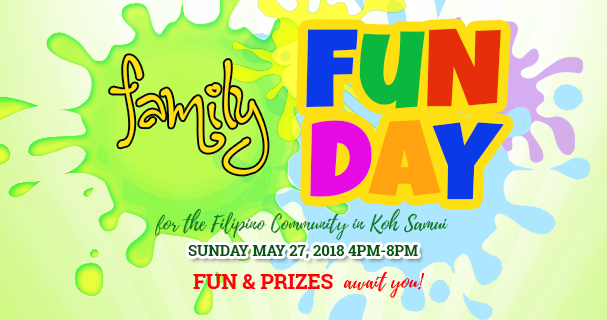 All Filipinos are invited to the Family Fun Day at Lake Chaweng Municipal Court in Koh Samui on May 27, Sunday, from 4:00 to 8:00 pm. Western Union together with its agents Krungsri Bank, Central Department Store and Bangkok Bank has prepared lots of prizes and giveaways to all attendees. There will be friendly sports competition such as basketball, volleyball and many more pinoy fun games for kids and adults. Free food will also be provided by Western Union. Free opening of bank accounts is available at Krungsri Bank and Bangkok Bank booths. 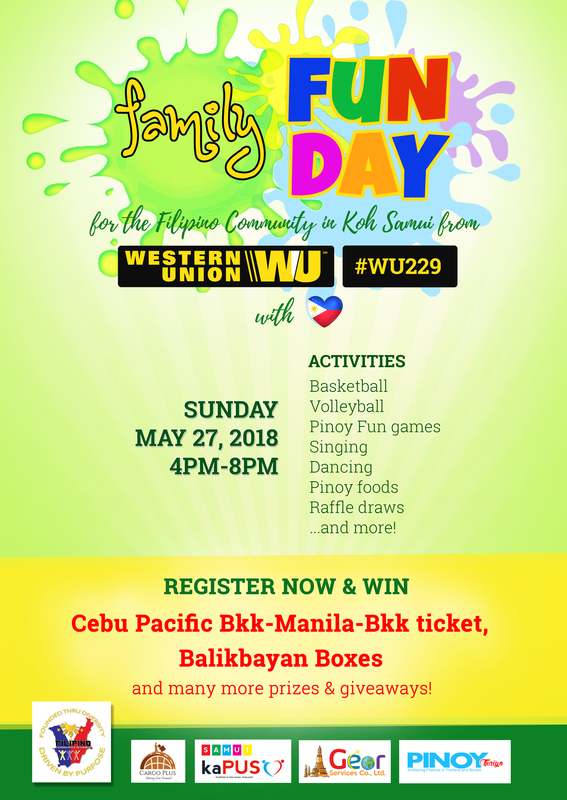 Filipino Community in Samui (FCS), PinoyThaiyo, Kapuso in Samui and other Filipino groups have joined forces to make this event possible and bring happiness and unity among Filipino workers on the island. Geortravel Tours and Services will also give one round-trip (Bangkok – Manila – Bangkok) Cebu Pacific tickets while Cargo Plus will be giving away four Balikbayan boxes in a raffle draw. 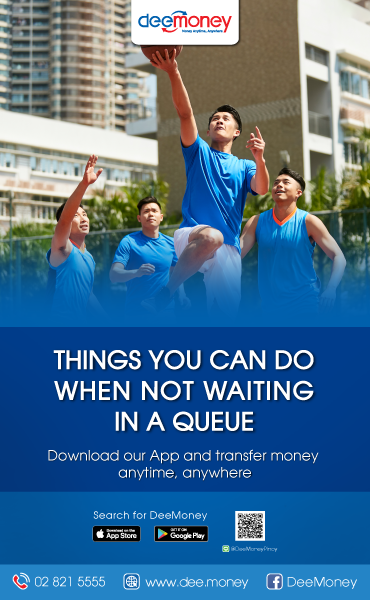 To register, please contact Ms Nora Lim, FCS president at +66 84 657 8354 or via Facebook messenger.